Chattanooga Mayor Andy Berke speaks before the march. A prayer vigil and community walk was held Monday May 2, 2016 at Coolidge Park and the Walnut Street Bridge to stand against the recent outbreak of violence in Chattanooga. Updated to clarify that authorities don't believe Corker was involved in CBL's potential accounting issues, though they are interested in learning more about the senator's trading in CBL stock, according to sources quoted by the Wall Street Journal off the record. Those sources say officials have found no evidence to suggest that Corker committed wrongdoing. NASHVILLE — Two top Chattanooga politicians — U.S. Sen. Bob Corker and Chattanooga Mayor Andy Berke — are getting spattered as Tennessee Republicans and Democrats throw mud over which party is the worst. Democrats struck the first blow last week, dragging Republican Corker into their general indictment of the GOP and its "Red to the Roots" program to extend party dominance to local elected offices. "The Tennessee Republican Party sells their 'Red to the Roots' program to Tennesseans by saying that we would be better off if right-wing partisan Republicans were elected to every level of government," Democratic Chairwoman Mary Mancini said in an email blast. The reality, Mancini said, "is that 'Red to the Roots' spreads their Republican culture of corruption and cover-up from Washington, D.C., to Murfreesboro, Tenn."
"[I]t starts in the leaves and branches with Sen. Bob Corker, the 23rd richest member of Congress, being investigated by the FBI and the SEC for insider trading, and Governor [Bill] Haslam, the richest elected official in America, awarding no-bid contracts to his friends and signing an executive order to eliminate a requirement to disclose how much he earns or pays in taxes," Mancini wrote. The Wall Street Journal recently reported that FBI and U.S. Securities and Exchange Commission investigators are looking at Chattanooga-based CBL & Associates Properties Inc. for alleged accounting fraud. CBL is a favored investment for Corker, who is a longtime friend of top company executives. 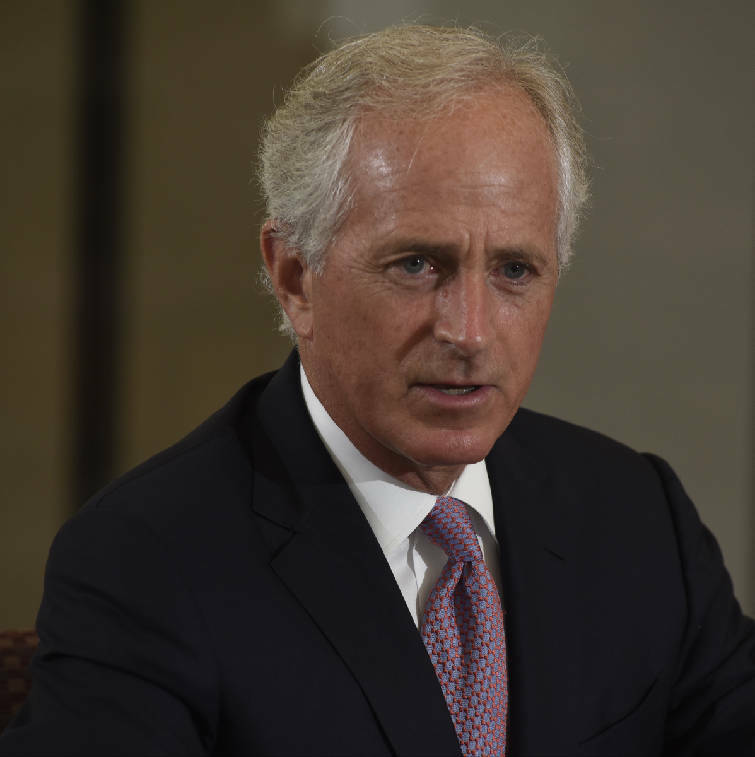 The newspaper reported investigators are asking separate questions about Corker, a multimillionaire who has made frequent trades in CBL stock and made millions of dollars. Corker says he's done nothing wrong. He charges complaints filed against him by a self-styled Washington watchdog group are part of a smear spurred by angry hedge fund billionaires fearful his stance on the future of mortgage giants Fannie Mae and Freddie Mac would torpedo their considerable investments. The Wall Street Journal, which first revealed the federal inquiry, has cited unnamed sources saying authorities don't believe Corker was involved in the company's potential accounting issues, though they are interested in learning more about the senator's trading in CBL's stock. The Journal also reported they have found no evidence to suggest Corker has committed wrongdoing. CBL officials said in a statement the Wall Street Journal article "included serious allegations from unnamed sources. We believe these allegations to be completely baseless and take very seriously any question regarding our accounting and financial practices. We strongly deny and will seek to understand the origin of these allegations." CBL officials say "neither the company nor its executives have been contacted by the FBI, SEC or any other regulatory agency regarding our company's accounting or financial practices. At all times, our company operates with the utmost integrity and holds itself to the highest ethical standards" and has "stringent policies and procedures" to ensure its reports and filings "comply with applicable laws, rules and regulations." Late Friday afternoon, Tennessee Republican Party Chairman Ryan Haynes counterattacked via email, calling Democrats "corrupt to the core" people who "can't help but continue the Tennessee Democrat Party's tradition of corruption." Haynes raised the spectre of former Democratic Gov. Ray Blanton's "bribes for pardons scandal" in the 1970s and former state Sen. John Ford, of Memphis, who in 2007 was convicted of taking bribes in an FBI sting, among other things, and sent to federal prison. The "themes of illegal and deceitful behavior continue today," Republicans charged. 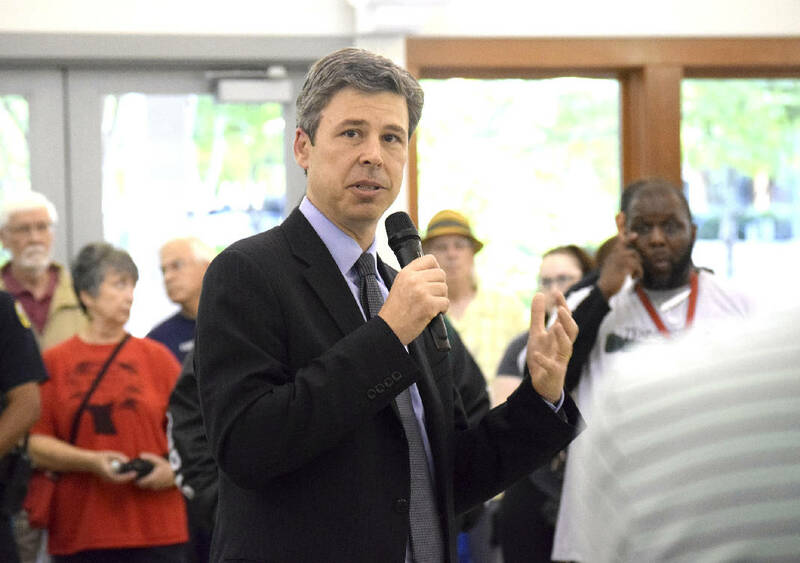 They dragged in senior state representative Joe Armstrong, of Knoxville, who faces trial on federal charges of income tax evasion; "financial chaos" in the Shelby County Democratic Party, and finally Berke, a former state Democratic senator. Haynes' broadside referred to controversial allegations of an affair between Berke and his senior adviser, Lacie Stone, lodged by Stone's husband, Bobby Stone. The Times Free Press reported Bobby Stone made the accusation in statements to police two weeks ago when they arrested him on domestic assault charges against his wife. Berke has denied any improper relationship, calling the allegations "absolutely false." "Democrats are attempting to distract from their disastrous performances at the ballot box in recent years and their dismal record in office," Haynes wrote. "Regardless of what they say, they can't run from their tradition of corruption." In her own artillery blast, Mancini also charged Republican state House Speaker Beth Harwell with an "attempted cover-up of Rep. Jeremy Durham's inappropriate behavior and reported sexual harassment of women working at the State Capitol" and cited what she called Rep. Andy Holt's "special treatment to operate his hog farm without the correct permits and in spite of his multiple 'serious' code violations." "Now at the roots we learn that the Republican elected Rutherford County sheriff is accused of 13 counts of conspiracy for allegedly accepting bribes and kickbacks. Another day, another Republican caught taking advantage of the people of Tennessee," Mancini wrote. The Rutherford County sheriff, Robert Arnold, was indicted in late May on federal charges of abusing his authority by operating a scheme in which he pocketed more than $66,000, The Tennessean reported. State officials spent more than a year scrutinizing the sheriff's involvement with e-cigarette company JailCigs. Democrats' attack on Haslam appears to stem from the state's extension of a contract with a private company through amendments, approved by the State Building Commission. Haslam's first official act after becoming governor in 2011 was to sign an executive order eliminating a requirement that he and top aides disclose how much they earn in outside income. Haslam also became the first Tennessee governor since the mid-1970s to refuse to publicly disclose his income tax returns. This story was updated June 6 at 7:55 p.m. with more information.